It has become commonplace to pay loan discount points when obtaining a mortgage these days in an effort to secure the lowest interest rate possible. see this website buy Pregabalin 75 mg capsule While I don’t often advise paying discount points because it is rarely in the client’s best interest, the good news is that if you decide to pay points, any points you pay may be deductible on your income tax return. 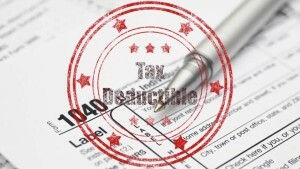 Under Section 163 of the IRS code, and spelled out in IRS Publication 936 (2015), loan discount points paid in connection with a mortgage loan secured by real estate are tax deductible as long as they are paid to secure the interest rate and are not for a specific service performed in connection with a mortgage loan such as an appraisal fees, inspection fees, title fees, etc… That means that the effective cost of any points you pay is reduced by the tax savings. For example, if you paid $3,000 in points and you are in the 25% federal tax bracket and a 9.3% state tax bracket, your net cost would be $1,971 ($3,000 – ($3,000 x 34.3%)). However, as is typical with the IRS and any tax deduction, the rules are different for purchase and refinance transactions. Your loan is secured by your primary residence. You use the cash method of accounting, which means that you report income in the year you receive it and deduct expenses in the year you pay them. The funds you provided at or before closing, plus any points the seller paid, were at least as much as the points charged. You cannot have borrowed these funds from your lender or mortgage broker. You use your loan to buy or build your primary residence. The amount is clearly shown on the settlement statement as points charged for the mortgage. The points may be shown as paid from either your funds of the seller’s. One of the lesser known facts about the tax deductibility of loan discount points is that they are deductible by the buyer even if the seller pays them on behalf of the buyer. There is an important exception that applies to second homes. You CANNOT fully deduct in the year paid points you pay on loans secured by your second home. You can deduct these points ONLY over the life of the loan (e.g., 10, 15, 20, or 30 years). While your effective cost is still reduced by the tax savings, it will take the entire 30-year mortgage for you to realize the savings. For example, if you paid $3,000 in points and you obtained a 30-year mortgage you would only be able to deduct $100 per year for 30 years ($3,000 ÷ 30). These cryptic rules and various exceptions should be strong evidence of the value in working with a professional who can help you navigate the shark infested waters of the mortgage world. 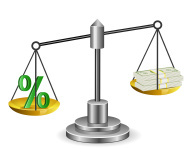 If you are considering paying discount points to secure a lower interest rate, regardless of whether you are purchasing or refinancing a house, and you would like to know what criteria you should consider and if it makes financial sense to do so call us to schedule a time to discuss your specific situation. There are a number of caveats to the tax deductibility of loan discount points, such as the Alternative Minimum Tax, which are beyond the scope of this blog post. This blog post is intended to provide introductory information to the subject matter covered. Neither the company, the advisor, nor their representatives offer tax or legal advice. Consult your attorney or tax advisor as to the applicability of this information to your specific circumstances and for complete up-to-date information concerning federal and state laws in this area.